SPOILERS AHEAD!!!!! 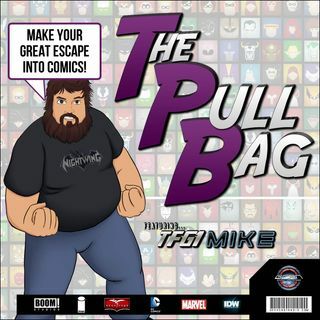 Because we released this on the same day that Issue #6 releases, you may want to wait in listening.... til after you have a chance to read the comic! YOU HAVE BEEN WARNED!!! In the 41st Back Issue Classics The Pull Bag GETS TRULY OUTRAGEOUS! That's right in the latest Back Issue Classics TFG1Mike, Nicole Beatles Diva Hail Storm, and Aimee LadyWreck continue to be TRULY OUTRAGEOUS. These three Misfits will be reviewing the end of the ShowTime arc in IDW's Jem and ... See More the Holograms #6! This will be featured both on ShowTime Synergy and The Pull Bag! The post TPB – ShowTime Synergy – Jem and the Holograms #6 appeared first on GeekCast Radio Network.